For example if I select jazz soprano sax on my ipad, complete my writing, mixing etc - when I file share to my Notion 5 will purchasing this make the message "these instruments are not available" go away - and be same/similar to the sounds selected? Please confirm/explain. Thank you! I. Love. Notion! You guys rock! related to an answer for: Importing work from Notion IOS into Notion 5 Mac advised sounds used aren't available - where may I purchase? 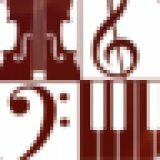 You don't need to purchase the instrument sound to physically write for it however - it will playback with the default piano sound on iOS, and on desktop you can assign any voice to sound when playing back that line instead.